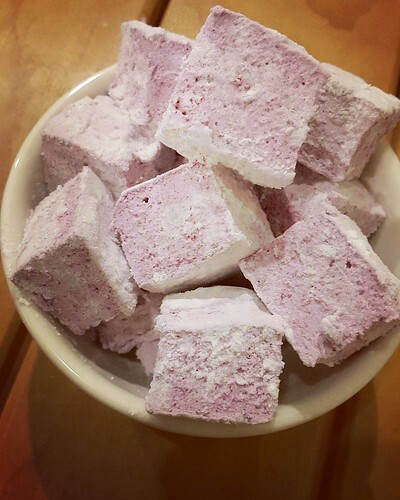 Home made marshmallows are fun bites to have at any party and as gifts. These squishy bites are cloud-like and melts in your mouth! Perfect for cake decorating or donut-adorning. By adding the fruit powder you prefer, a multitude of flavours can easily be made. I used Fresh As’s blackcurrant powder here, to give the beautiful purple hues. Check out their range: strawberry, blackberry, raspberry, blueberry, mandarin, mango, passionfruit, lime…even kaffir lime! Try variations with cocoa powder and freeze dried instant coffee powder too. Mix the ingredients for mallowpowder. Line a small tray (15cm x 10cm) with baking paper. Dust a thin layer of mallowpowder on the paper with a fine sieve. Reserve the rest for dusting later. Soak gelatine sheets in a container with cold water. In a small pot, combine 200g sugar and water. Place a candy thermometer in, making sure it touches the sugar. Bring to a boil, till it reaches 130C. 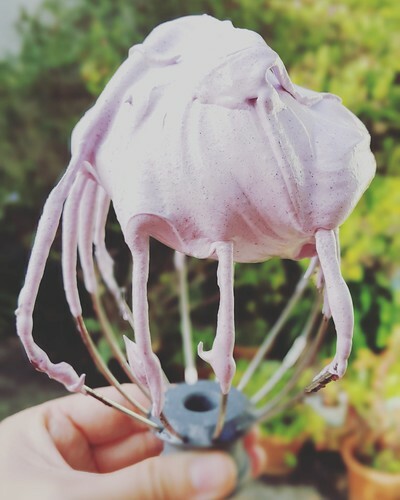 In a stand mixer, whisk the egg whites and 10g sugar together until soft peaks. Once the sugar water reaches temperature, pour it into the egg whites in a thin stream, all the while whisking. Keep whisking for 3 minutes. Squeeze excess water out of the soaked gelatine sheets and add to the marshmallow. Whisk till it is combined. Add fruit powder and whisk for a further 5 minutes to cool the mixture down. Spread onto prepared tray and use a pallet knife to smooth the top. Leave to set for 4 hours or more. Dust mallowpowder on your knife before cutting, and cut in downward motion for clean cut sides. Dust cubes of 3cm x 3cm with more mallowpowder. Store in a tight lidded box. Sugar is ‘water loving’ so it might get sticky if you leave it at room temperature for too long. Try freezing the marshmallow cubes to add to hot chocolates and coffees later on. As school’s starting this week, we have been in full back-to-school mode: getting stationary sorted, uniforms ironed, new lunchboxes and water bottles – all sorted. 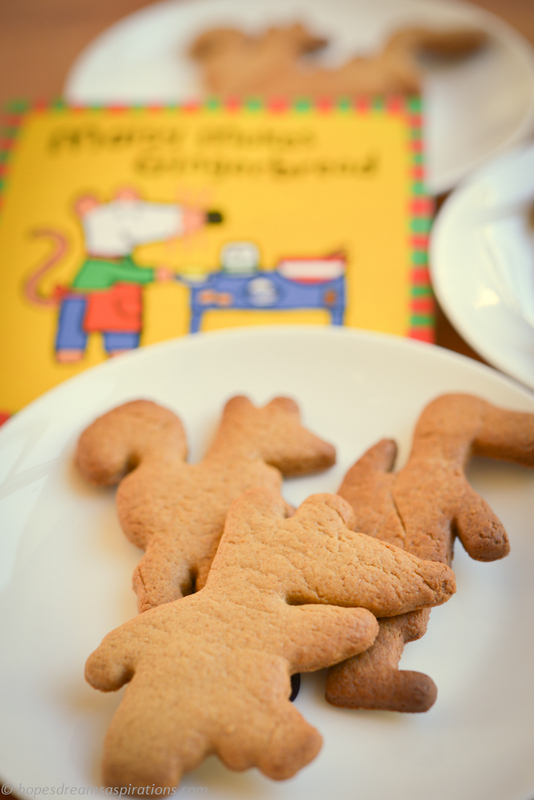 One thing we couldn’t miss out on is preping for snacks for school. 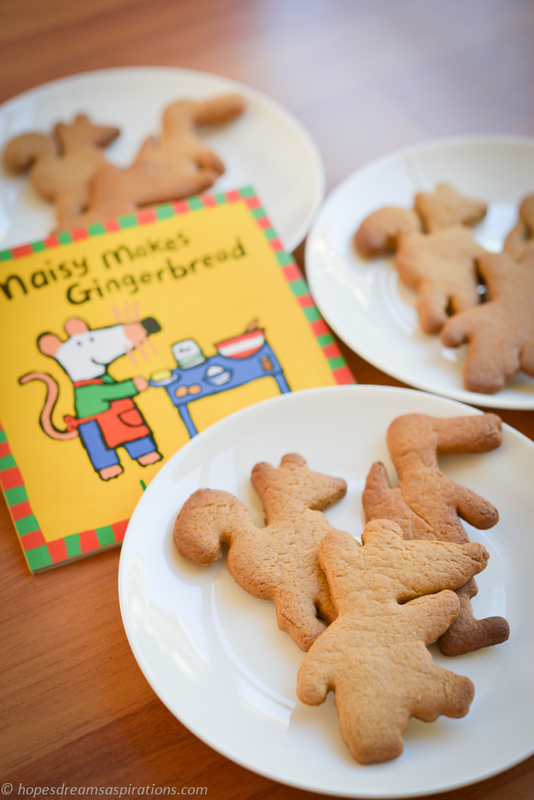 I don’t want to do what I did last year – baking too much at a time with the hopes that it will fill up all the lunchboxes for weeks. Turns out banana muffins can get boring pretty quickly, even with chocolate buttons in them (What do you mean you don’t like them any more? They have chocolate chips in them for goodness sake!). They don’t freeze that well and the taste deteriorates the longer they have been frozen. This year, I’m going to try out a few different ideas for lunch and teas. First off, baking from pre-made, frozen dough. This is hardly a new idea, just underestimated by me as a true time saver (I find it really hard to hold back and not bake the entire batch sometimes). By doubling the batch and keeping some reserve dough in the freezer, you can always bring it out the night before to let it thaw and very quickly you’ll have a fresh batch of baking for the week. Same idea as mise en place, you will be saving time spent on prep. You can build on your ‘baking bank’ with a variety of recipes and you’ll always have something on hand for parties too. Mix the flour, spices, baking powder in a large bowl. Pour melted butter, syrup and sugar into mix, combine. Add the eggs and combine. Tip contents onto a large board, work the dough until everything comes together without being sticky. Roll out to 3mm thickness and cut into shapes with cutters. Fan bake for 18 minutes in a preheated oven at 160C, until golden brown.